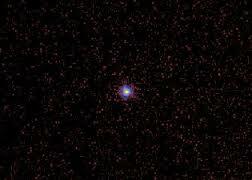 Myths, stories and red, green brilliant stars like Sirius… are powerful suggestions. It is jabbing to realize this for oneself. My friends and enemies are my teachers. It is amplified when you realize that you are indirectly a “teacher” to someone else. Empathizing with others is the teacher that combs through my hair and burns at my heart. Drawing the line and standing tall is not a popular motivation in our iron social forms. We set forth, winningly and unknowingly, invisible ideas to friends & enemies. These are the many powerful suggestions; time released by way of the human mind, and later activated by metamorphosis… downloading accountability and stinging confrontations with truth. This entry was posted in "In the beginning there was a void except for the written word." The Avengers (Band) and tagged » Daily Prompt powerful suggestion, brilliant stars, postaday, Sirius. Bookmark the permalink.